We have new Collections coming out of our ears here at ScienceOpen! Last week, we saw two published on the bacterium Shewanella, and another on the Communication Through Coherence theory. Both should represent great platforms and resources for further research in those fields. 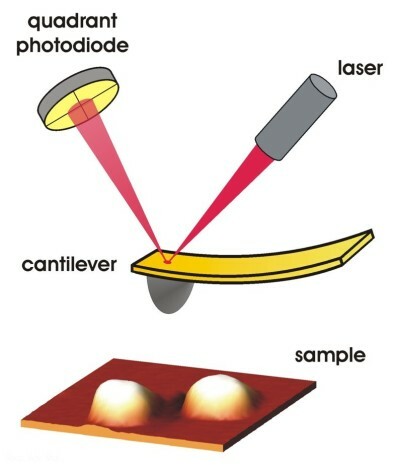 The latest is on the diverse field of Atomic Force Microscopy. We asked the Editor, Prof. Yang Gan, to give us a few details about why he created this Collection. This collection is to celebrate the 30th anniversary of atomic force microscopy (AFM). March 3, 1986 saw publication of the land-marking paper “Atomic force microscope” by G. Binnig, C. G. Quate and C. Gerber (Phys Rev Lett, 56 (1986) 930-933, citations >8,800) with the motivation to invent “a new type of microscope capable of investigating surfaces of insulators on an atomic scale” with high force and dimension resolution. This can be used to measure local properties, such as height, friction, and magnetism, so has massive implications for science. Since then, AFM has given birth to a large family of scanning probe microscopy (SPM) or SXM where X stands for near-field optical, Kelvin, magnetic, acoustic, thermal, etc. More than 100,000 journal papers, ~6,000 papers/yr since 2008, have been published if one searches the Scopus database with “atomic force microscopy” or “force microscope”. On ScienceOpen, there are over 6,000 article records if one searches using the keywords “atomic force microscopy” too. Nowadays, many disciplines — physics, chemistry, biology, materials, minerals, medicine, geology, nanotechnology, etc — all benefit greatly from using AFM as an important and even key tool for characterization, fabrication and processing.